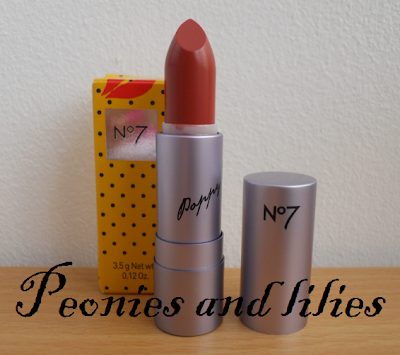 As you probably already know, lipstick legend Poppy King recently collorabated with No7 to create a range of lipsticks and I was kindly sent the shade 'Intrugue' to try out. Texture wise, the lipstick is absoutely perfect for me, it applies very sheer and isn't at all drying so feels like a balm on the lips. 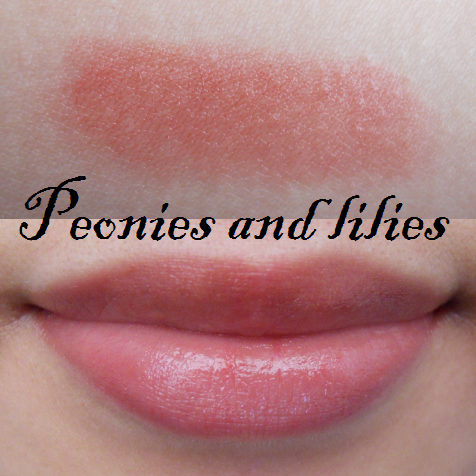 This particular shade gives a lovely rosy sheen to the lips and is perfect for everyday wear. I'm not too keen on the yellow polka dot box it comes in, but the actual casing is lovely. Lilac silver in colour, it looks sleek and expensive plus it closes with a satisfying click. The lipstick looks smaller than usual, but at 3.5g, it's about the same weight as other No 7 and MAC lipsticks. Have you tried any of the Poppy King lipsticks? What do you usually spend your voucher on? Disclosure: Sponsored post, all views and opinions expressed are my own. That shade looks gorgeous. I inspected them when they came out, but I was broke and the recent vouchers had run out by the time I was prepared to buy! I think there were three shades in the range that I was interested in... They're probably sold out in my local by now, knowing my luck! Passo per un saluto..molto carino il tuo blog! nel mio sei la benvenuta se vorrai!! Ti aspetto anche solo per un'occhiata!